I was with friends yesterday in the park. 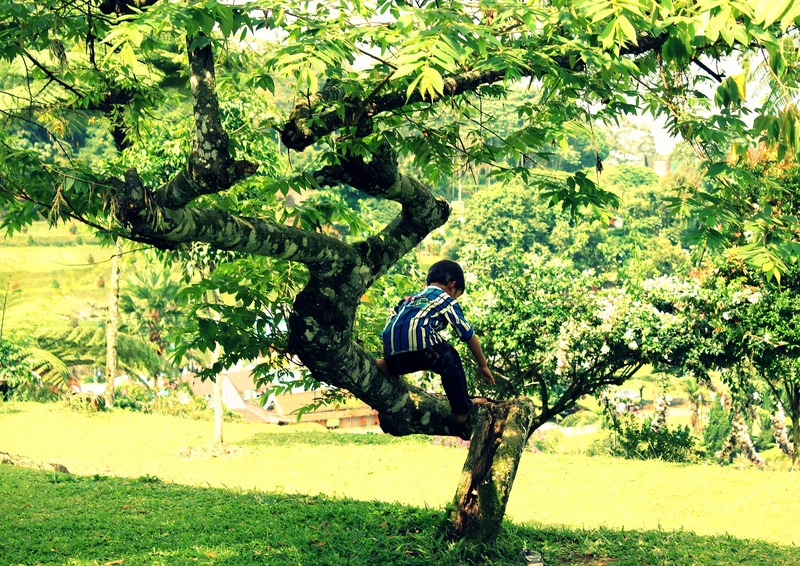 The boys climbed the tree and I was thrown back into the many incredible memories of being in trees. The apple tree in our backyard that we’d climb up in and eat our PBJ sandwiches. The orchard of crab apple trees that were low enough for even little kids to crawl into. The trees in Costa Rica that we swung from the vines in the rainforest. What playful friends the trees are.